Our latest WordPress plugin, “Onebox” is now ready for public consumption. Version 0.5 has been submitted to the WordPress plugin index and should be available there soon. Inspired by the module of the same name for the excellent Discourse forum software, Onebox lets you turn any link into a fancy Facebook/Twitter style widget. It generally works with any URL, but some special features are enabled for certain sites, with more coming later on. You can see some live examples below (with the corresponding shortcodes), rendered using the default theme (a dark theme is also available in the plugin, and everything is fully customisable if you’re fine with hacking HTML and/or CSS), and I’ll try to add more as they’re enabled in the plugin. Update: please visit this site for live examples and more information. We hope you enjoy this plugin and find it useful. If you’d like to request additional modules for soecific websites, or report a bug or have some other feedback, the best place is to open an issue on our github page. By which I mean it’s now completely and utterly free. Go download it now, and start using it to make films and video more efficiently. The rest of this post will concern why I’ve made this change, and perhaps to wax lyrical on software development. I’ve never really considered myself a software developer, but rather a filmmaker. I’ve written and directed a couple of shorts, but I consider my role in filmmaking to primarily be one of support. I help people make their films, usually in a technical capacity. Over the years of doing that, I conceived a spreadsheet template that grew into a database, and a fully-fledged software solution. I did this, mostly, to make my working life easier. There’s only so much data about a project I could hold in my head, and scraps of paper, both of which have their faults. I created a system that would tie a lot of the elements of filmmaking together, that worked well on both low- and bigger-budget films. Around five years ago, it occurred to me that, although very niche, the database and associated tools would be useful to other people making films, maybe enough that I could work on and support it for a living. I set about (I want to use the word “weaponising” here, but it doesn’t quite work) making the system usable by people other than myself. After a year of that, and based on some feedback, I then changed the look and feel to how it is now, and finalised my list of everything the software had to do before I would be happy to ask money for it. That was another couple of years of tinkering. At that point I got serious about it. I took a gamble and spent the better part of a year working on it exclusively (much to the Surreal Road bank manager’s chagrin) to get it complete, had a beta test with a small number of participants. Perhaps I should have taken the lukewarm reception as a sign, even at that point. When I talked to people directly about Synaesthesia, they were often excited, but when people actually used it, less so. Likewise, the bank didn’t look too kindly upon my business plan for the software, and industry journalists (save those who then used the opportunity to sell me advertising space in their publications) were uninterested. More signs, perhaps, but this was during the height of a global recession, and in any case I was having too much fun. This was going to change the way people made films. Synaesthesia was released on January 18th, 2012 with a price tag of $399. 6 months later I dropped the price to $199. Because I had the foresight to track these things, I can tell you since then, the trial version has been downloaded directly from this website 32 times. The software has actually been used by 111 “unique” users. I have sold 0 copies. Clearly, it’s not setting the world on fire like I’d hoped. Looking back, I think I can identify a few reasons for this, such as timing, and even the incredible awkwardness of trying to build a desktop application on top of a Filemaker database (I’ll be surprised if you can point me towards a single Filemaker-based application that can auto-update like Synaesthesia can), but more than anything, I think perhaps there’s simply too much of “me” in it. Successful films (and stories, natch) work best when the creators impart a little of their souls into them. The best stories tell you about the human condition, and have personality, two features that must be powered by personal observation and honesty to some degree. Software doesn’t work like this. It is merely a tool to do a job, and having something that confounds expectations of how software works (especially on Macs, where all applications look alike), will turn many people off. Next time (if there is indeed a next time) this is something I’d probably seek to change. Simplify things. But only if there’s a way of making something that isn’t bland. I still maintain that Synaesthesia is the best tool available for collecting information during a shoot. I’ve looked at the competition in every respects on this, and I believe Synaesthesia wins out every time. If the final barrier to entry– price– can be removed to allow more people to see if I’m right, then that wins out over trying to make money on it. Colorist Luke Rainey passed away this morning after a long battle with health problems. I personally worked with Luke in 2001 on Band of Brothers and again in 2006 on Earth. From the first time I met him he struck me as the most authoritative colourist I’d ever met, and was able to truly make the colour correction process about artistic sensibilities as opposed to purely technical ones. He had the technicalities nailed too, and worked on a variety of systems from the Pogle to the Nucoda, Baselight, and Lustre. He could determine the colour temperature of a patch of wall just by looking at it, and he always got the “best” results (i.e., the ones the client’s didn’t know they wanted) on every film that was lucky enough to have him. He even mentored one of my good friends who then went on to become a great colourist in his own right. So long, Luke, and here’s hoping the art of colour correction doesn’t leave with you. Having worked with DITs (the horrible acronym for Digital Intermediate Technician, the person responsible for the delivery of digital media from the set to post) over many years, and more recently, doing the job of a DIT on a couple of productions, I’ve come to one very simple conclusion: the process could be better. That isn’t to say that most DITs do a terrible job; on the contrary, many are extremely passionate and conscientious. Rather it’s that they approach the role from a cinematography standpoint, and almost never from an IT background. Historically, most DITs were barely-trained people provided by the rental company, who knew how to operate a particular digital camera, and how to copy files on a Mac. Rsync is a universal file copying application that runs from a command-line. It’s even built-in to the Mac OS. It’s extremely robust, and recommended in many situations. It’s startlingly easy to use, and there are even GUIs available for it. And watch it go. You can cancel with control-c and run the same command to resume it. I defy you to find anything that will copy files faster. The only thing to pay attention to is the trailing slash at the end of the paths. More information on rsync. Every production I’ve worked on has rented storage media (SD cards, CompactFlash Cards, LaCie drives and so on), and needless to say, every one of them has had at least one take that had to be aborted due to an error with said media. Disk drives are sensitive things at the best of times, and this is one of the reasons used disk drives lose value. Flash storage, which is most popular with digital cameras for its high performance is especially problematic. The problem is, it can also be prohibitively expensive. The real solution here is proper planning. There is rarely a good argument for renting storage media. Cost is certainly a factor, but question what the cost is of having to reshoot due to drive failure? Also, consider planning to sell the media after a shoot, recouping much of the cost (and probably putting it on par with the cost of renting the media in the first place). Low to mid-budget productions all use external (USB or Firewire) disk drives for immediate transfer of rushes by the DIT. On a given day, the camera(s) will produce anywhere from a few GB to 1 (or more) TB of data, which gets dumped onto these drives for an undetermined amount of time. There’s nothing inherently wrong with this, but we can do better. The QNAP is considered reasonably high-end (it even has HDMI out, imagine that!) by NAS standards, and so if price is a concern, there are many cheaper options available. I personally recommend the QNAP because it has decent Mac support, and is very user-friendly. * Compare this to the equivalent in G-Technology Disks: 5 x 2 TB G-RAID ~$1450. If you opt not to use RAID storage, you then of course get more storage for your money with the NAS, and the difference in price becomes negligible. And if you want to be really paranoid about backing up that data (as well you should), then you can just get an HDD dock, some extra internal hard drives, and copy data onto those as well. Solution: Do something useful and beneficial, like logging all that data as it’s being shot. While Synaesthesia was originally conceived as a single-user application, it was built using the Filemaker framework. 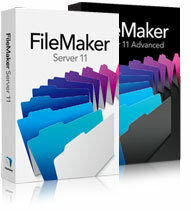 Filemaker is a popular database software solution, and is most typically used in a server/client environment. That is, multiple people can log in to a single database (hosted with Filemaker Server) and make changes simultaneously. It’s a very effective system (and very popular within the film industry). We now feel Synaesthesia is mature enough to be used in a multi-user environment, and with that in mind, we are in the process of optimising the current version for use with Filemaker Server. With that in mind, we are going to be rolling out a limited beta version of Synaesthesia specifically for Filemaker server. If you are interested in the power and capabilities of Synaesthesia and already have a Filemaker Server system, we want to hear from you. Go to our Synaesthesia for Filemaker Server beta signup page and let us know some details about your setup. We aim to start the beta programme in a few weeks time.